Another environmental audit, for energy, waste, water? An evaluation of your environmental risk profile? A review of policy intentions against outcomes? Quantification of your program impacts? Environmental risk audits at over 200 industrial sites for the Brisbane and Queensland Environmental Benchmarking Studies, 1997 and 1998. Since 1999, Su has initiated and managed student projects to produce comprehensive greenhouse gas emission reports for ANU, incorporating Scope 3 emissions. Taught environmental auditing in GreenSteps 2009-2013. 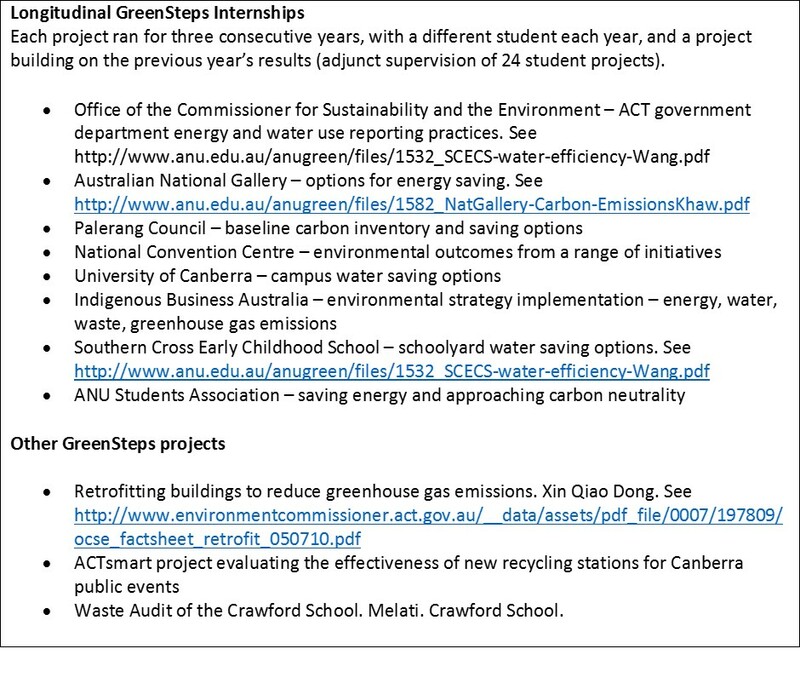 Examples of GreenSteps projects set up and overseen by Su are in the box below.